Dive into an irreverent adventure inspired by cult 80s movies. Guide five gifted kids through a retro-styled action romp and overcome puzzles, bosses and a host of unusual enemies - from street gangs to secret armies and creepy ghosts - in a bid to save the world. Celebrating the best of 1980's California, follow a group of friends as they discover a way to travel to alternate realms, have incredible adventures and stumble across countless pop-culture references. 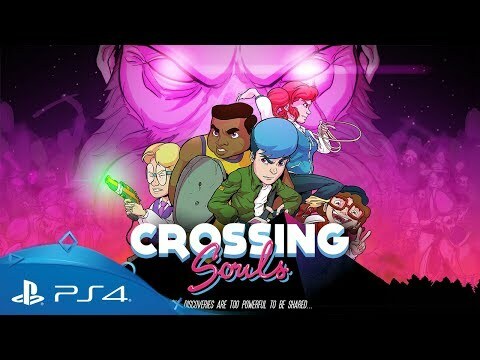 Crossing Souls combines combat, puzzle challenges and light RPG elements in a top-down experience where you'll need to make the most of each character's unique skills and their own personal combat styles. Looking for great action games?